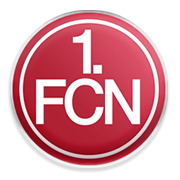 After suffering four consecutive defeats in Bundesliga, Nurnberg will be looking to give fans some cheer when they host Hertha at their Max-Morlock-Stadion on Saturday afternoon. Situation in Nurnberg’s dressing room is alarming ahead of the visit of Pal Dardai’s troops as they failed to find the net in previous four league fixtures. The rock-bottom side are desperate to grab something from Saturday’s football match and we predict that they are going to fight tooth and nail against the capital club. Hertha, on the other hand, failed to win previous three league fixtures and they will not have a better chance than this to return to winning ways. Pal Dardai’s team aim to stay in the race for a place in European competitions and given Nurnberg’s poor form, we believe that there is a big value in betting on the visitors. Eduard Lowen is a German footballer who is part of FC Nurnberg. His main position is defensive midfielder, but he is capable of playing as both centre-back and central midfielder as well. Lowen played for th likes of Hottenbach, Kaiserslautern and Saarbrucken during his youth career and in 2016 he joined FC Nurnberg. After making 14 appearances for FC Nurnberg II, he started playing for the senior team in 2017. The German footballer impressed in the 2017/2018 2. Bundesliga season as he scored 5 goals and provided 4 assists for his teammates in 32 appearances for the Max-Morlock-Stadion outfit. Eduard Lowen’s contract with FC Nurnberg should expire on June 30, 2022. Eduard Lowen, who was born in Idar-Oberstein (Germany) on January 28, 1997 has yet to make his debut for the German national team. However, he played for both Germany U20 and Germany U21 teams. The Nurnberg centre-back scored his first-ever goal for the U21 team in March, 2018 in a 3-0 win over Israel U21. Lowen’s preferred foot is right. Hertha Berlin is a German football club from the city Berlin which is currently active in the highest German football division the Bundesliga. The club was founded in 1892 and is active in the Bundesliga since 2011//2012. Between 1926 and 1931 Hertha BSC managed to reach 6 times to the final of the Deutsche Meisterschaft which they managed to win 2 times (in 1930 and one year later in 1931). Hertha Berlin originally played its home games in the Plumpe which got bombed during the WW II. After the bombings Hertha Berlin stated to play their games in the Olympic Stadium in Berlin. The club colors of Hertha Berlin are blue and red and is also known as Die Alte Dame which is the same nickname as Juventus. Next to winning the German national league Hertha Berlin managed to reach to the final in the DFB Pokal in 1977, 1979 and 1993. Hertha played several times in the UEFA Cup (former Europa League) and qualified for the group stage in the Champions League in the season 1999/2000. Known players that played for Hertha BSC are: Basturk, Deisler, Bobic and Marcelinho.